months to even do one blog post. in the future but until then here's just a look at those. not a container with holes in it, like wooden crates. the grass would tie in with a golf theme for the party. of the guest of honor. a few different shades of white chalk paint. for the crates to look have a sort of weathered look. and was attached to the painted crates with Mod-Podge. cut-to-fit black construction grade trash bags that hold in dirt. Cut a single layer of the heavy duty plastic bags big enough to cover the bottom and sides of the crate. The cut construction strength bags were held in place with thumbtacks. Sometimes they had to be hammered in. Two weeks before the retirement party, we planted the rye grass. Lay the seed on thick for best results. Since the plastic lining of the crate keeps water from coming out, be careful not to OVERwater the grass. communication about the progress of the growing grass. in the middle. No one but us probably noticed that. black lettering) dictated the color theme of the party. but was great once it was on the tables. Green cups and napkins added the pop of color at the party. 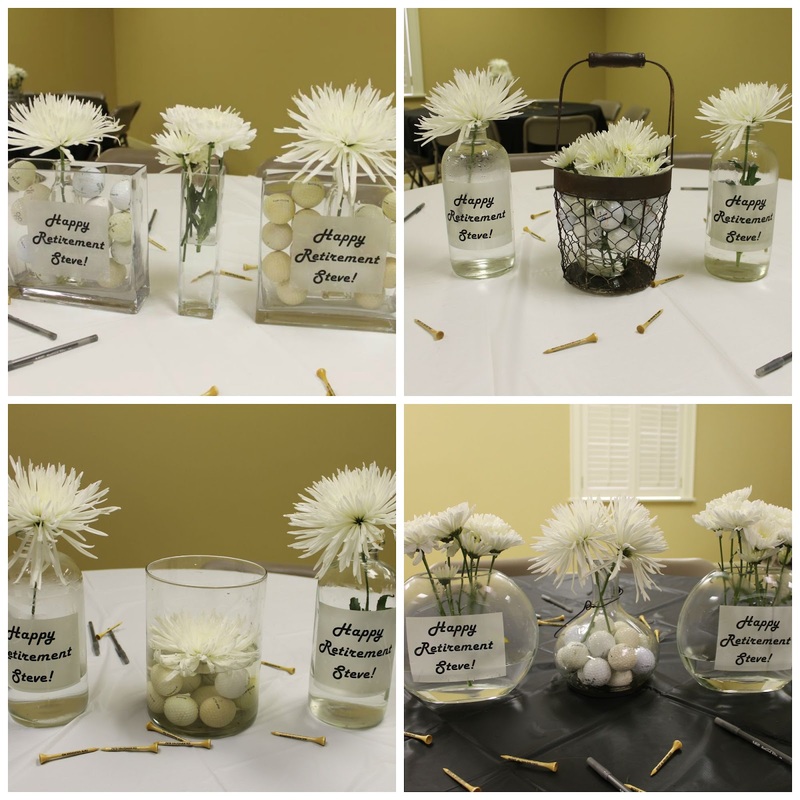 centerpieces, etc.) that 250 people had RSVP'd the party. Yikes! More tables! More centerpieces! of the main seating area...too late to grow more grass. through the rest of the summer refining (not perfected yet). clear glass vases and other things that I have in the attic. more substantial, we had three elements per table. time of the party, guests starting arriving an hour early! had pictured in my mind....oh well! of the clear mailing labels were visible at the retirement party. like it was actually etched on the glass. In August I got to go to a reunion of friends from college. I am the chubby one on the far left end. I wanted to take a little gift along to give each one. At Wal Mart I found Burt's Bees candles for only $5 each. 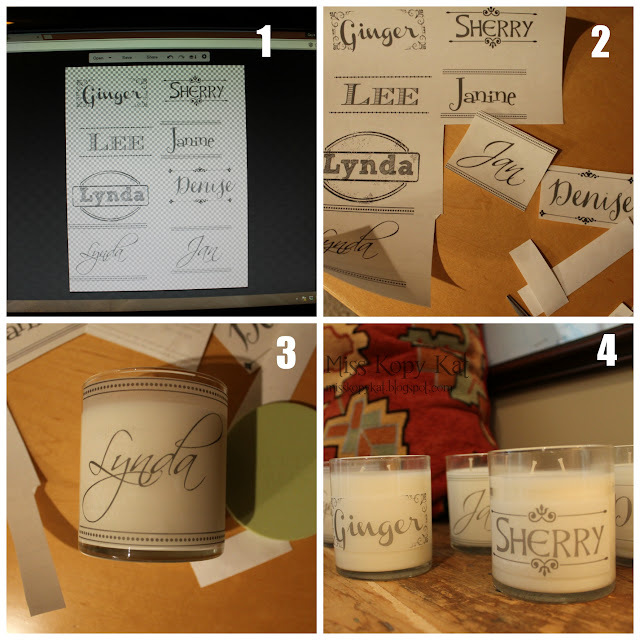 and then added the name label to each girl's selected candle. square vases as the "border" for the faux glass etching. 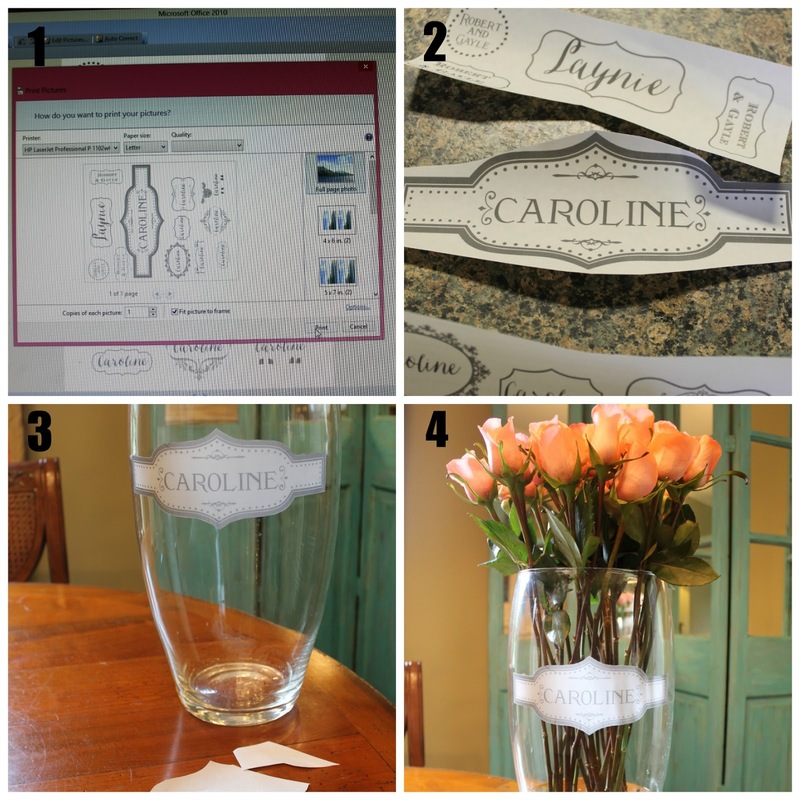 "Caroline" text on the label on the smaller vase. faux etched glass vase to the hospital for her. The shipping labels are about $1.50 each so I tried to get as many labels on the sheet as possible. "clear" full sheet shipping labels (from office supply). not water-proof...don't get water on it. Caroline...Isn't she lovely...Isn't she beautiful!? off so the vases can be used again for another occasions. bring out more of our color scheme which was pink and green. the colors of your choice to go with your party's theme. cost for craft paint and masking tape (which was very little). 9 feet long and 22 inches wide before ironing and hemming. you want the stripes to be. Measuring is recommended. painting so that it will not "bleed" under the tape. 4. Take the tape off to reveal your stripes. Testing the runner out at my house before the baby shower. used both runners end-to-end on the pushed together tables. so we would have all the same pattern underneath the runner. Groups of three vases were placed along the runner. 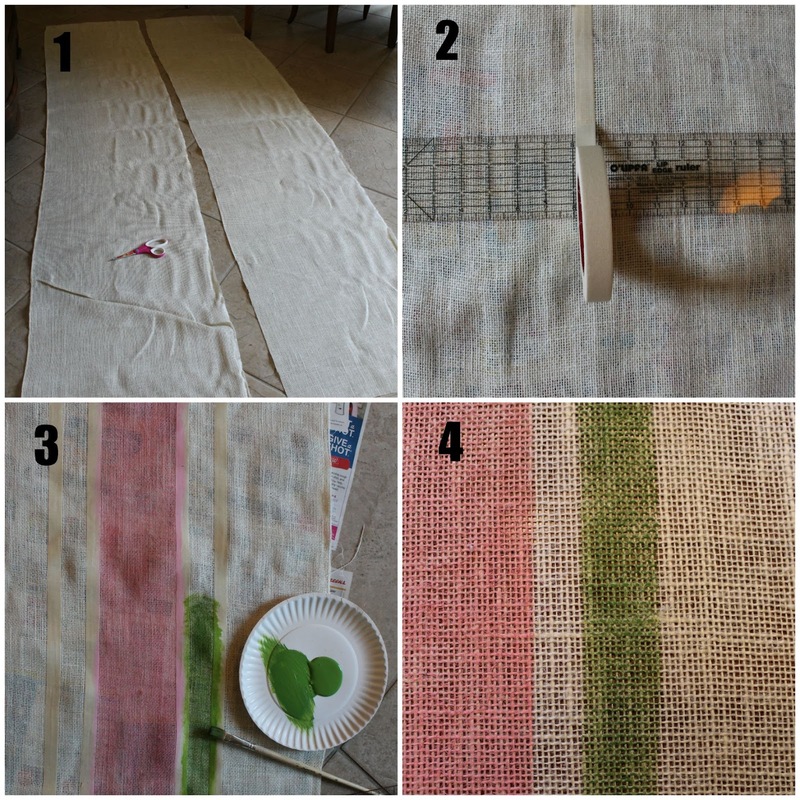 To see more details on how to make table runners, click on "Table Runners Add Pizazz". table with only the restaurant's black tablecloth :( . cupcakes look extra special. I recommend them. decorating but this year I had to scale that back. The dining room got some of my favorite summer items. starfish and seahorses painted white and some real starfish too. sit in apothecary jars on a base of collected seashells. seashells and all kinds of starfish. to me sometimes has annoying glare). 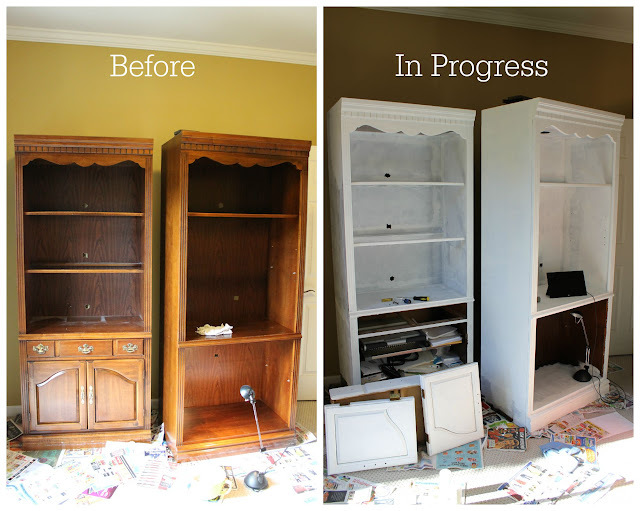 Hobby Lobby and repainted with DIY chalk paint. The amber fishing floats also came from Hobby Lobby. The kitchen got minimal summer decorating too. Mostly just summer sayings on DIY chalkboards. R.W.E. stands for Ralph Waldo Emerson...I ran out of room to write that long name. I don't know who wrote this quote...sorry. kitchen table this summer surrounded by frogs and orchids. over a month. They were only $10 each at the grocery store. The leaves on this orchid plant are healthy looking. onto the original stem to brighten this kitchen corner. A Summer-into-Fall project is repainting one of our bedrooms. sleeping in it although we do have a sleeper sofa in there. I'm planning on putting a gallery of pieces on the wall above the sofa...some of those pieces are pictured. time deciding on the right color (not my strong suit). bookcases in that room white! secret for as long as I have my summer projects! You've had a very busy summer with lots of great projects! Love them all, but I especially like your retirement party theme and the growing of grass in the crates! You have such a creative mind and I'm glad you took the time to share them all with us! I am glad to see you back to blogging. You have been really busy this Summer and created some amazing things. I am always in awe of your creativity. Hi Gayle! Awesome ideas - love the retirement theme and color combo. 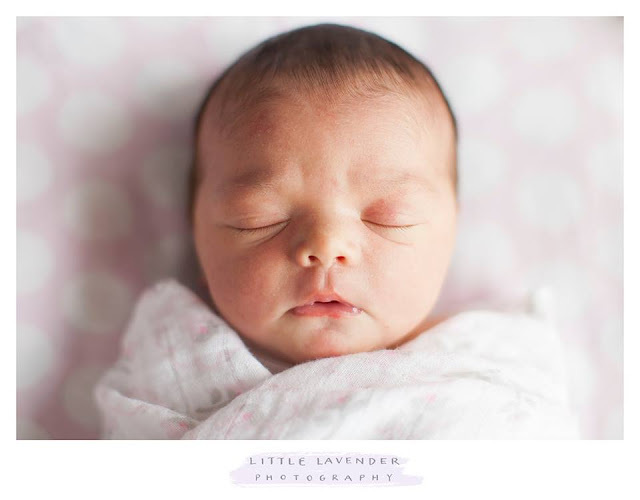 You are too cute - thanks for including the "oops" in your blog as well. We all make oops, the truly talented know how to creatively cover them up...thanks for sharing, talented friend - love you! Wow great! You have such a creative mind! Thanks for sharing this with us. So glad to see a big post from you. Loved all the projects but will definitely be doing the painted burlap runner and the grass. Probably for thanksgiving! Wonderful post! You have such a creative and talented mind. And you have awesome ideas. Thanks for sharing! 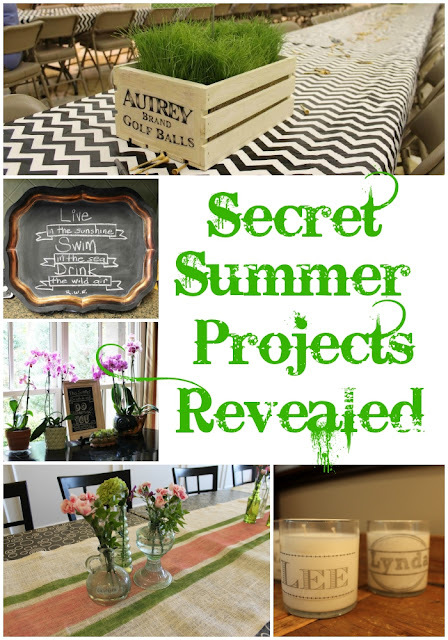 Hey I really like your secret summer project. Thanks for revealing it through the weblog. I also got my first corporate event planning project in last summer. It was very challenging as it had to be completed within short time period. I am glad that I did it successfully! Oh my goodness I LOVE those real grass crate centerpieces! That's such a cute idea and it would work for so many parties. It would even look adorable as an Easter basket. Thanks for sharing how you did it!